There comes a time when the needs of your parents or a loved one begin to change. One of biggest decisions you – and they – will face is whether to help him or her "age in place" and continue to live at home with in-home care, or whether it would be a better idea to move into an Assisted Living community. While aging in place at home may seem like a convenient, comfortable choice, it may not always be the safest, most cost-effective, or healthiest option. Many seniors share a common fear of losing their independence or have misconceptions of what life may be like at an Assisted Living community. What follows below are just a few of the reasons why Assisted Living may be right for you or for your loved one. Assisted Living provides seniors with the option to continue living as independently and privately as their abilities and health status allow. Minimizing intervention is an important factor to increasing self-efficacy and quality of life for seniors. An individual may still be able to perform most of Activities of Daily Living (ADL) and Assisted Living specialists recognize this. Assisted Living offers a level of care that is appropriate for seniors who do not need the full-time attention of a nursing home but need assistance with meals, transportation, medication, and daily activities like bathing and dressing. Because an older adult’s health situation can change quickly, Assisted Living offers the benefit of a flexible living arrangement that can quickly adapt to changing needs. A move into an Assisted Living community is a move toward a lifestyle that promotes longer, healthier and happier lives. As needs change over time, assisted living communities often provide a variety of on-site options for future healthcare. Residents receive personalized care plans that are overseen and regularly evaluated by a professional team. This continuity of care is important for early detection in small physical or cognitive changes enabling caregivers to offer preventative recommendations to prevent or delay further decline. Older adults living on their own are at a higher risk for isolation which may increase feelings of seclusion and sadness. In an Assisted Living community, residents live in a setting with friends and a staff that encourages participation in group events. Assisted Living communities have active and diverse social calendars thereby giving residents the ability to take up new hobbies such as learning a musical instrument or joining a new fitness class. Dietary requirements are an important component of the life of a senior and all too often, these needs suffer. In an Assisted Living environment, residents receive balanced nutrition on a daily basis and special dietary needs are met, not to mention the social benefits of dining with others. All of the above work collectively to create a crucial benefit: peace of mind. 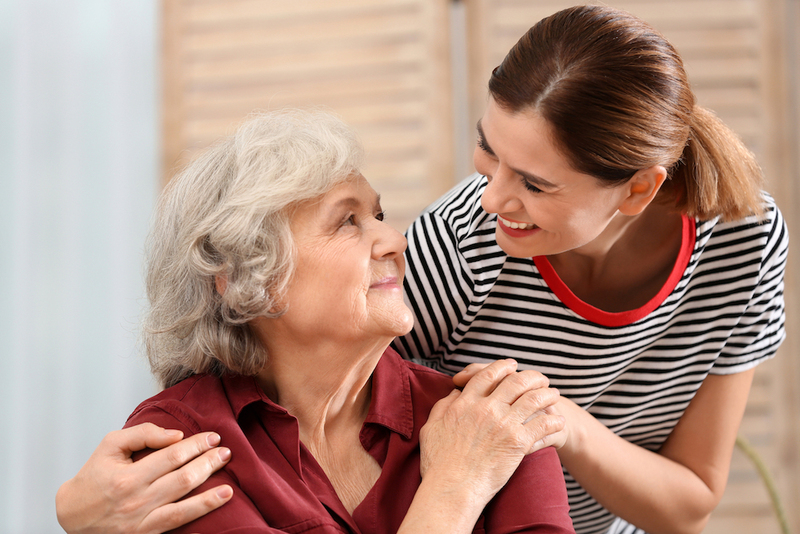 Friends and family members don’t worry as much knowing their loved one is being cared for in a home-like atmosphere where their needs are continually provided for by experienced staff members. Residents themselves rest easier as well. In a recent study, nearly three quarters of participants agreed that their family member or loved one’s quality of life was improved after moving into Assisted Living where compassionate care is delivered daily. Additionally, more than half of those family members or caregivers revealed that their own quality of life was improved. Family members and loved ones reported improvements in their diet, exercised more, stress was minimized and they no longer felt a strain on their financial well-being. For nearly 40 years, Moorings Park has provided compassionate care to residents, as well as members of the general public, through our Orchid Terrace and Oakstone Assisted Living and Memory Care centers of excellence. 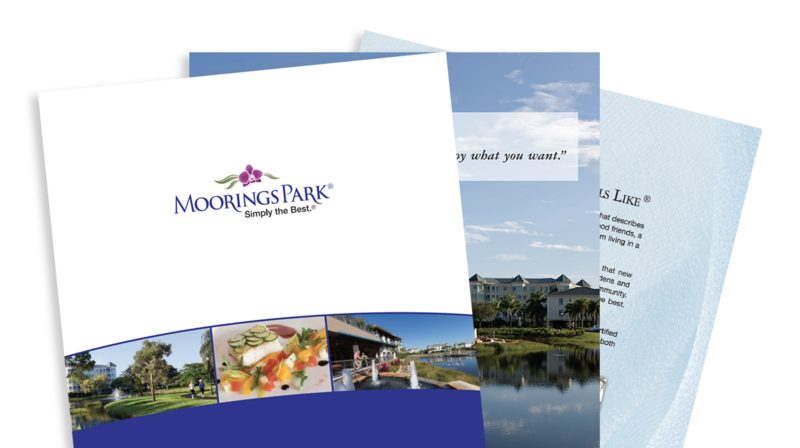 Moorings Park provides 24-hour all-inclusive assistance with the activities of daily living in private suites. Residents receive all the features and benefits of our award-winning continuum of care that includes social, intellectual, spiritual and recreational activities and events, as well as dining, all in a beautiful setting. While it’s always best to transition to Assisted Living before a medical event, the decision to move to an Assisted Living community is not always an easy one. If your aging parent or loved one is struggling to maintain daily tasks, living alone, or having difficulties managing medications or a chronic condition, it’s time to speak with them about the benefits of moving to an assisted living community. Contact us today to learn more about our services and amenities and to take a tour of one of our communities.